Our Maps page is a resource for guests who have booked their Canadian fishing trip with us and want to get on the Walleye or Northern Pike quickly. We have owned and operated this system for over 40 years so we know where the fish are! 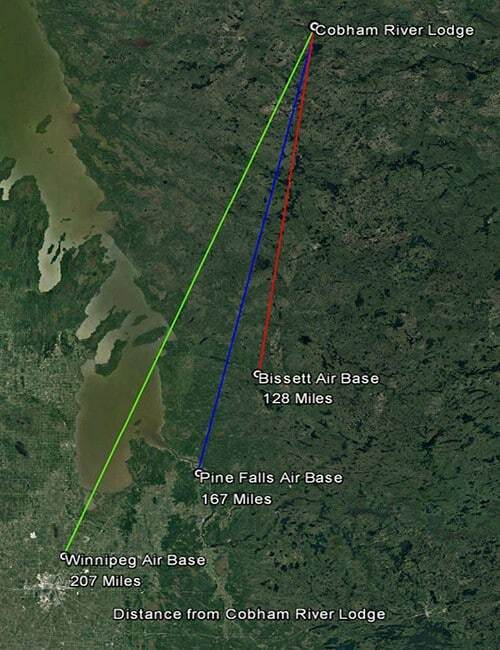 This first section of maps will show you where we are compared to other lodges in Manitoba. There are a lot of lodges who use cartoon maps on their site to try and make their location look farther North than they actually are. 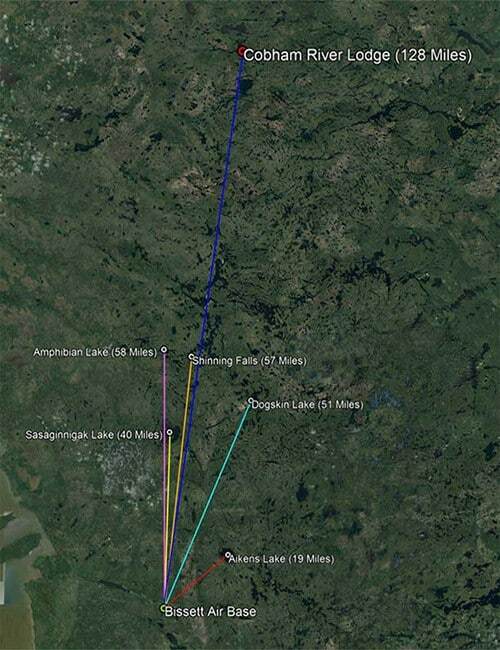 We don’t need to stretch the truth, here you can see exactly where we are looking at satellite imagery. 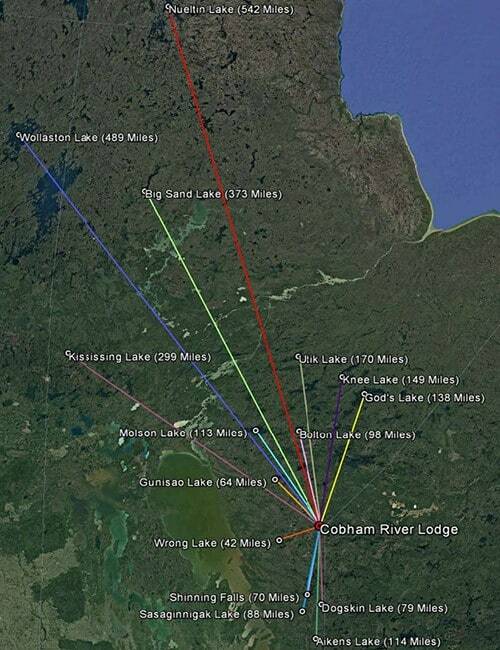 Cobham River Lodge Bissett, MB Departure map showing flight times to area lodges from Bissett, MB. Our system is a unique system giving our fishermen the opportunity to fish two river systems, (The Paulson from the West and Cobham from the East). Both Rivers flow North just past our Lodge location all the way to Hudson Bay. 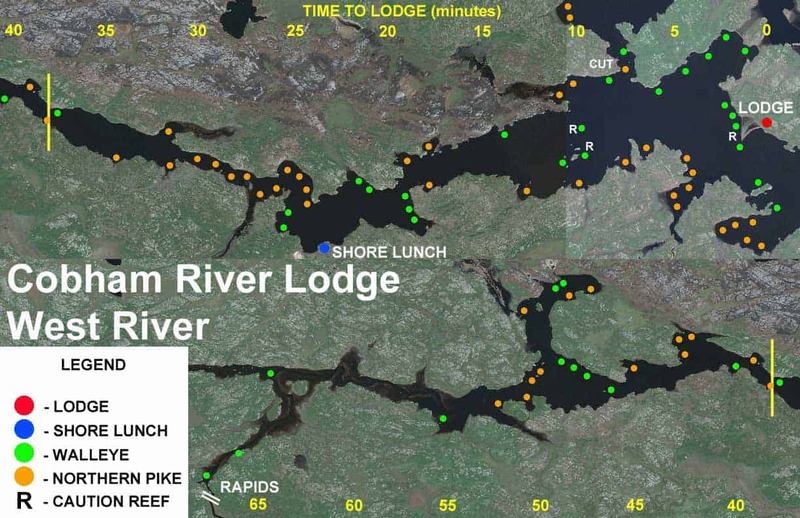 We are the only Lodge on any of these fishing maps. Cobham River (East) Guide Map. 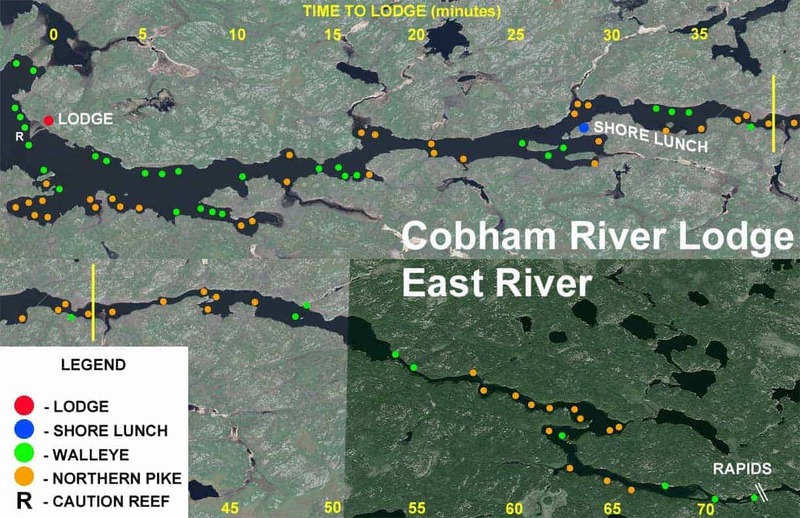 This map details the waterways East of the Cobham River Lodge. Cobham River (North Segment One) Guide Map. 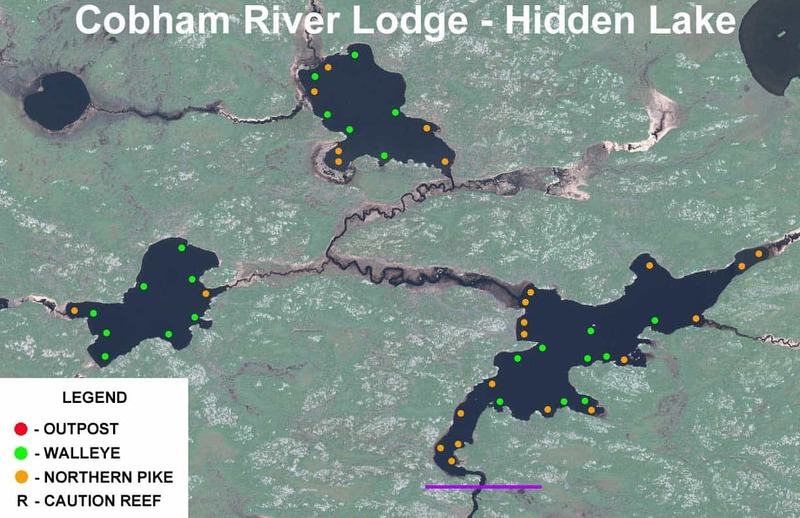 This map details the waterways North of the Cobham River Lodge. Cobham River (North Segment Two) Guide Map. 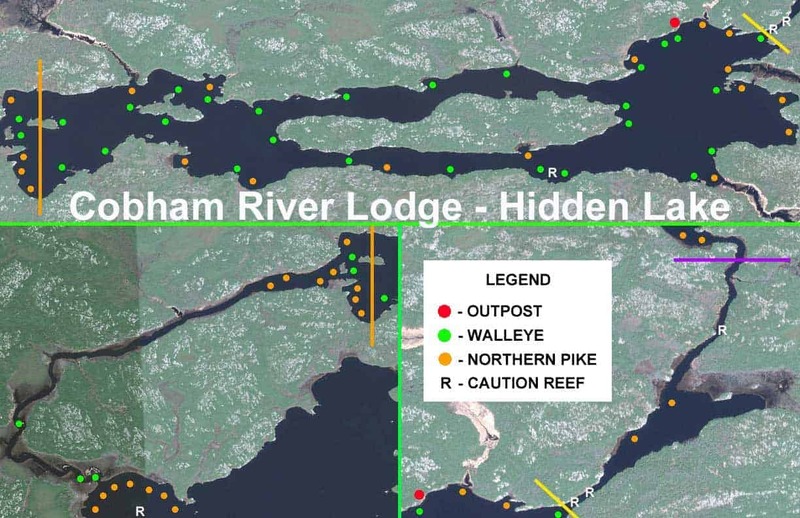 This map details the waterways North of the Cobham River Lodge. Cobham River (West) Guide Map. 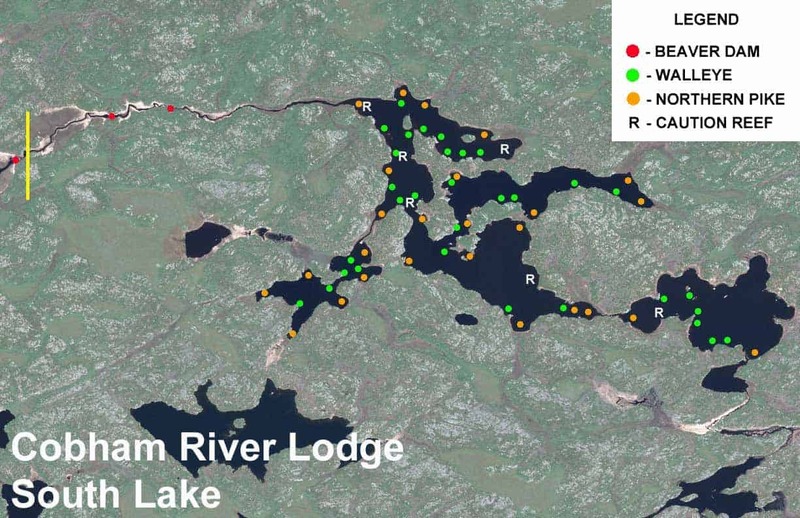 This map details the waterways East of the Cobham River Lodge. Hidden Lake Outpost (Segment One) Guide Map. This map details the waterways of Hidden Lake Outpost. Hidden Lake Outpost (Segment Two) Guide Map. This map details the waterways of Hidden Lake Outpost. 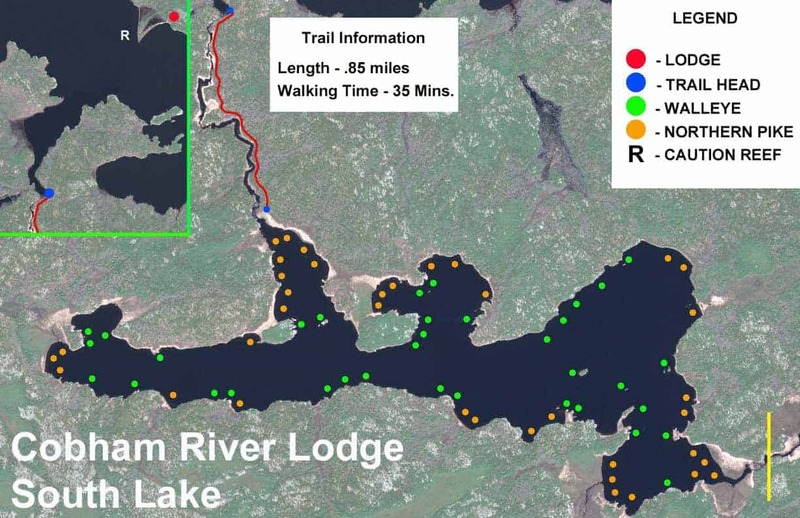 South Lake (Segment One) Guide Map. 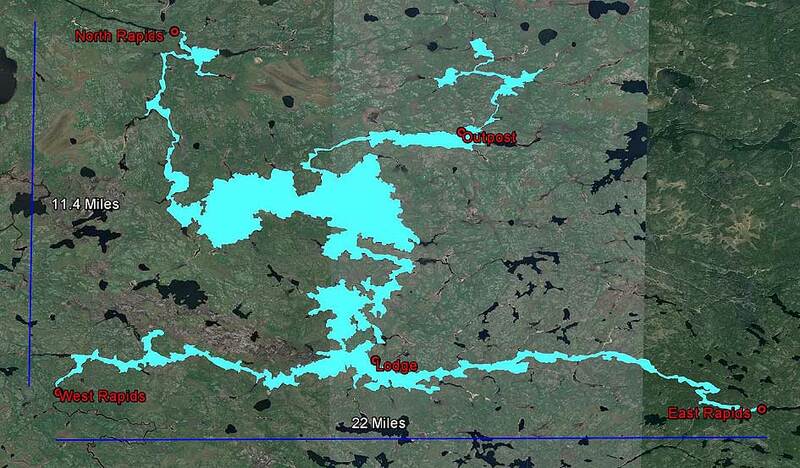 This map details the waterways of South Lake. South Lake (Segment Two) Guide Map. 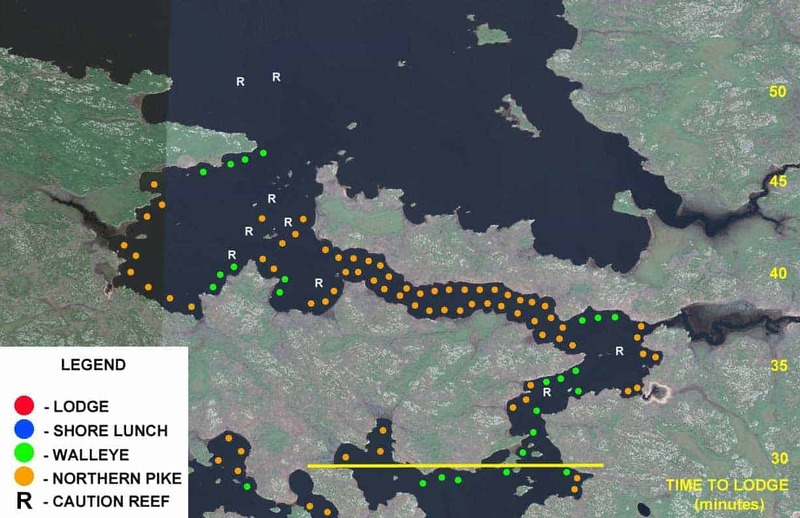 This map details the waterways of South Lake. Cobham River Fisheries Map. Overview of the Cobham River Fisheries. Starting in 2016 we began the process of mapping the system with our sonar system. Every year we are able to map around 2-3000 acres. Another 20 years and we may have it done, but it’s a start! This map appears that everywhere is 12 feet deep, however if you zoom in it will show great detail using the + and – on the bottom left of the map. Enjoy! 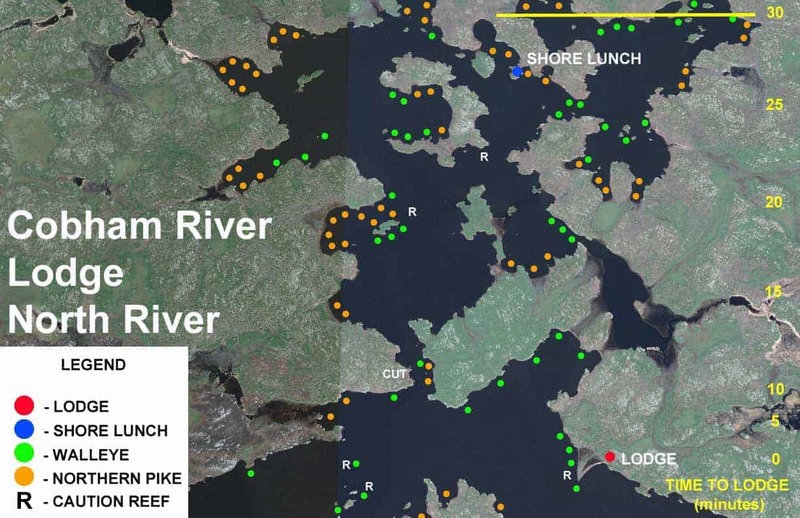 Free online presentation of Cobham River data generated by the Lowrance, Simrad Yachting and B&G communities of fishing enthusiasts. Anyone with a Free Genesis subscription has unlimited access to the C-MAP Genesis Social Map and can export maps for personal use on the water.